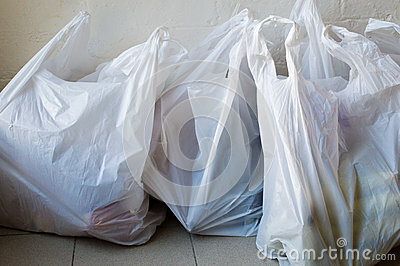 Plastic bags isolated on white background. Shopping bags on white background.Cotton and paper bags for free plastic shopping. World free of plastic.Organic products. Bags made of natural material.